On a recent rampage to Boots I came across the Max Factor stand .I decided that I would have a look at their products because it is a brand that I have never really explored or bought from. I ended up buying this lipstick which I love. This lipstick has a real expensive feel to it from everything to the gold lid to the lipstick it self. This lipstick is a mixture between coral and pink, the lipstick has a sheen to it but I wouldn't say it is the shiniest lipstick. 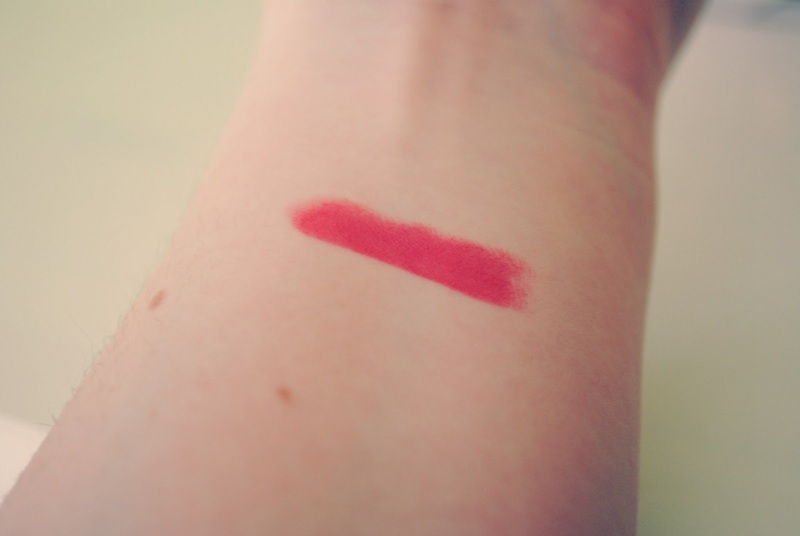 It's very pigmented but it doesn't last for long after a few drinks and some food the lipstick has nearly all vanished and your just left with a very unflattering lipstick line. 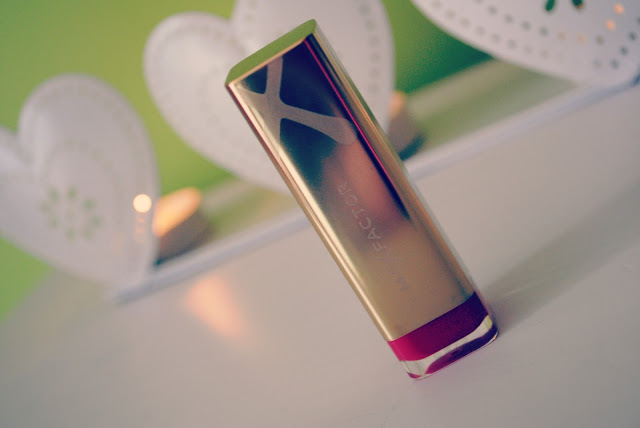 The lipstick is easy to wear and doesn't dry your lips. The lipstick was 7.99. 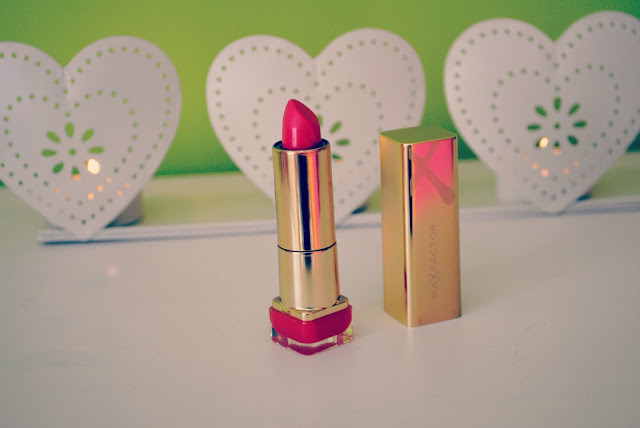 I love everything from the expensive packaging to the colour of the lipstick. The lipstick is very wearable for all skin colours especially pale skin. 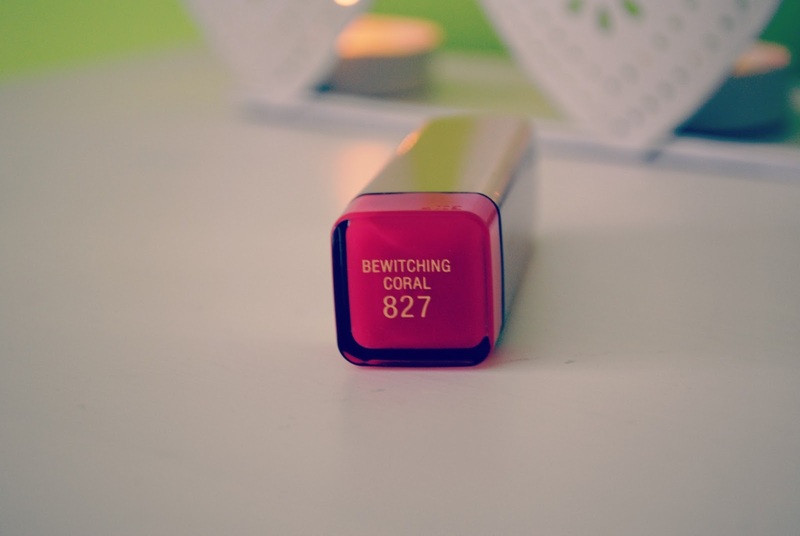 You can buy this lipstick at Boots or Superdrug.